Chin and lip piercing of 316L steel - simple closure in a shape of spike, smooth glossy surface, silver colour. Simple labret made of rustles steel is of silver colour and has glossy surface. 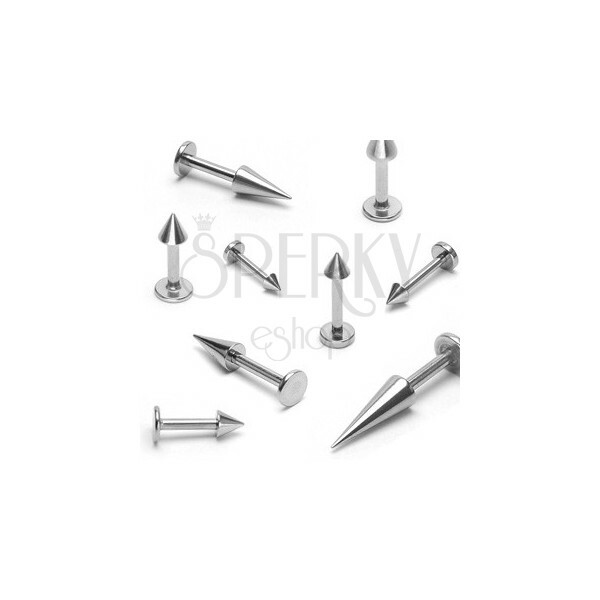 Point of piercing has a shape of spike. Available at various sizes.